Make sure that your child does all their homework and reading assignments, this will help make sure your child is prepared for the test. Encourage your child to space out their studying and homework assignments so that they won't be forced to cram on the night before the test. If you are anxious about your child's test, it's ok but try to keep cool around your child, you don't want them to get anxious about their tests too. Encourage your child to do well but don't pressure him/her. You may stress him/her out. It is important for your child to stay relaxed for the test. Keep a positive attitude about tests. Provide a quiet, well lighted area with little distractions to help your child study efficiently. Mark down test days on your calendar so you and your child are both aware of testing dates. Make sure that your child gets enough sleep on the night before the test. Ensure that your child eats a healthy breakfast and avoid heavy foods that may make him/her groggy and avoid high sugar foods that may make him/her hyper. Let your child relax for a few hours before bedtime, it can be stressful for a child to study all night. Talking about the test with your child can relieve stress about test taking. 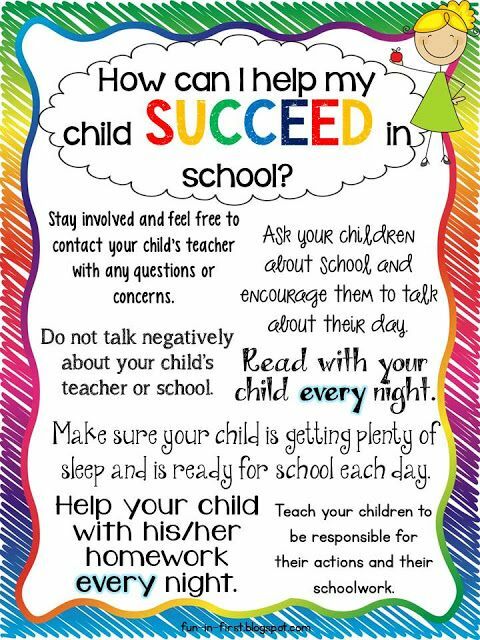 If your child is struggling on their tests, talk to them about it and meet with their teacher to find out the best way to help your child. Praise/reward your child when they do well on a test or for their hard work preparing for a test. Encourage them to do better if they don't do well. Review the test with your child after they have taken it and go over any mistakes they have made and make sure that they understand what they did wrong and how they can improve for the next test. Consult with parents, teachers, and other staff regarding concerns about students’ needs. Coordinate people and resources in the schools and in the community for the benefit of students. Provide staff development and training. Know about and adhere to the ethical, legal and professional standards of the counseling profession. How Do Students Access the School Counselor?